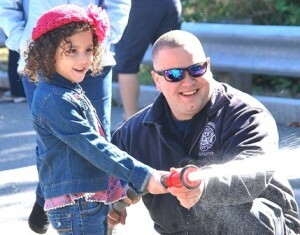 Karlina Alcoba, 5, aims a fire hose toward a mock burning house with help from Firefighter Bryan D’Antonio. Marlborough – The Marlborough Central Fire Station hosted a fun and educational open house Oct. 10 in observance of National Fire Prevention Week (Oct. 4 to 10). 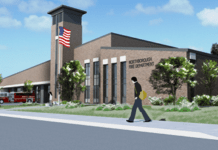 While adults collected fire safety literature, children watched videos and live demonstrations, played in an obstacle course and got behind the wheel of the department’s emergency vehicles. They and their families were treated to pizza, ice cream and popcorn. This year’s Fire Prevention Week theme was, “Hear the beep where you sleep.” The Massachusetts Department of Fire Services joined forces with local fire departments to remind residents about the importance of smoke alarms in homes, including bedrooms, and testing them monthly. 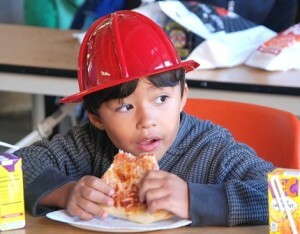 Thalles Assis, 4, munches pizza while watching an educational video hosted by Sparky the Fire Dog. 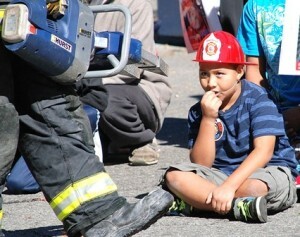 Auner Calderon, 9, gets a close-up look at the Jaws of Life during a demonstration. 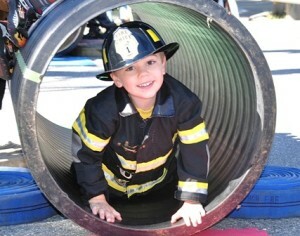 Cole Williams, 4, crawls through an obstacle course. 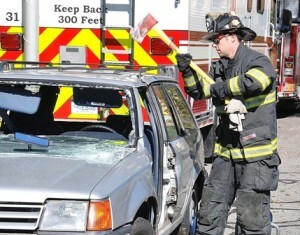 Firefighter Jon Ayotte performs a vehicle extraction demonstration. 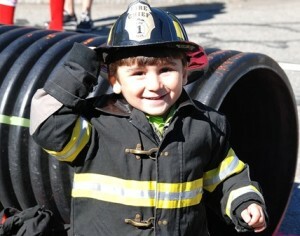 Christopher Franca, 3, gets the chance to sport a kids-size firefighter uniform.